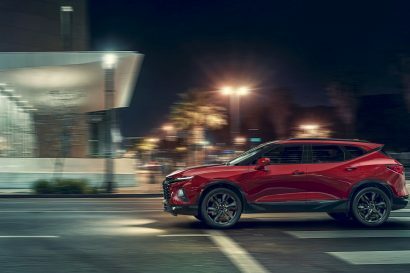 It is easy to list the specs of a new product and publish the press release, but what is too often a secondary thought is how will a product perform in a month, four months, 7,000 miles and longer after installation. At Expedition Portal, we prefer to review and report on products after we have given them a proper beating in the field. 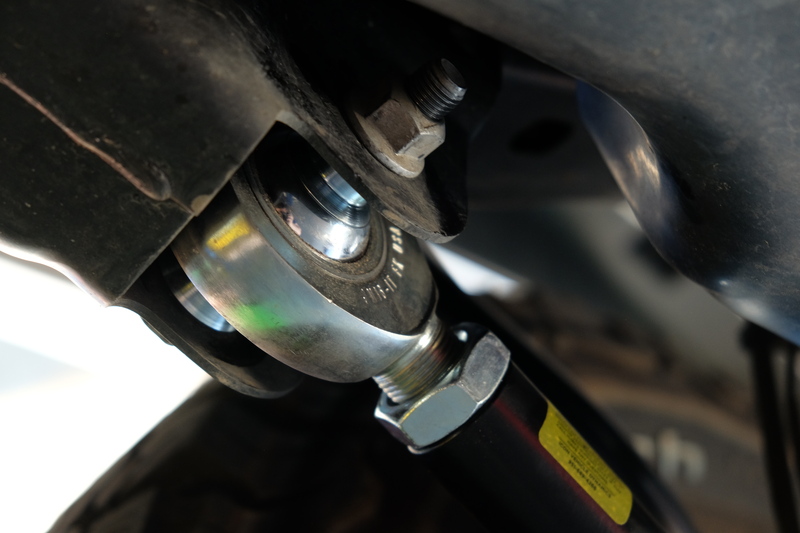 Suspension has a direct correlation to how much you will enjoy your time behind the wheel, which is why OEMs and some aftermarket suspension companies spend so much time trying to find perfection. As a driver, you experience, interact with, and get feedback from your suspension with every wheel rotation and mile of road or trail. Starting with a 2018 Jeep JL Wrangler Sport, I quickly found limitations with the stock ride height, payload, and handling. Immediately evident was the squat and overloaded feeling when driving with four or five occupants and a loaded cargo area. I also found the ground clearance to be in need of a boost for trail performance, particularly at the breakover angle. When the 2018 Jeep JL hit the market, the only options for a suspension upgrade or lift was the Mopar 2.5-inch kit. In an effort to bolster Mopar parts sales, Chrysler did not share design specs of the JL with the aftermarket industry for pre-release product development as they did with the JK. 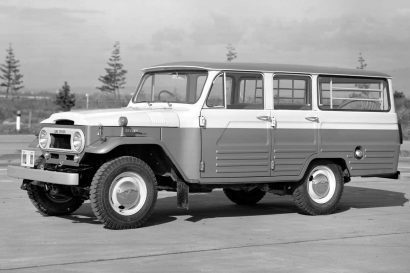 Aftermarket manufacturers had to wait in line at the dealership with consumers before they could get a JL for research and design of products, which has meant a trickle of new offerings from popular brands. Increased capability keeps the tires on the ground. Within a month of the JL hitting dealerships, suspension packages started to show up on the market for consumers to “upgrade” their Jeeps. I wouldn’t really call them suspension systems, but rather lift kits. First to market were spring spacers and shock mount extensions—a little bit of lift for larger tire fitment and a taller, more aggressive-looking stance. 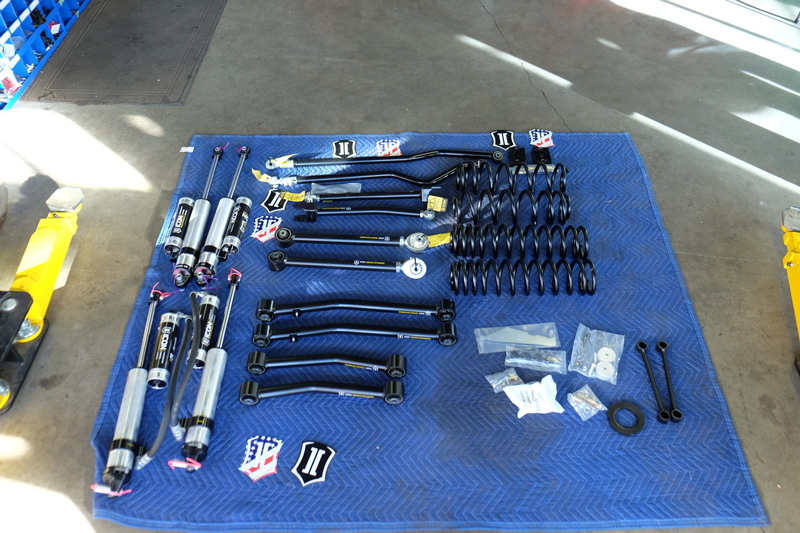 Then came a few kits that included aftermarket springs and shocks that were paired with the JL based on general weight ratings, but they were not specifically tuned for the JL. All the while, Icon Vehicle Dynamics, most well known for engineering high-performance suspension solutions for Toyotas, was doing their homework and R&D on the JL. 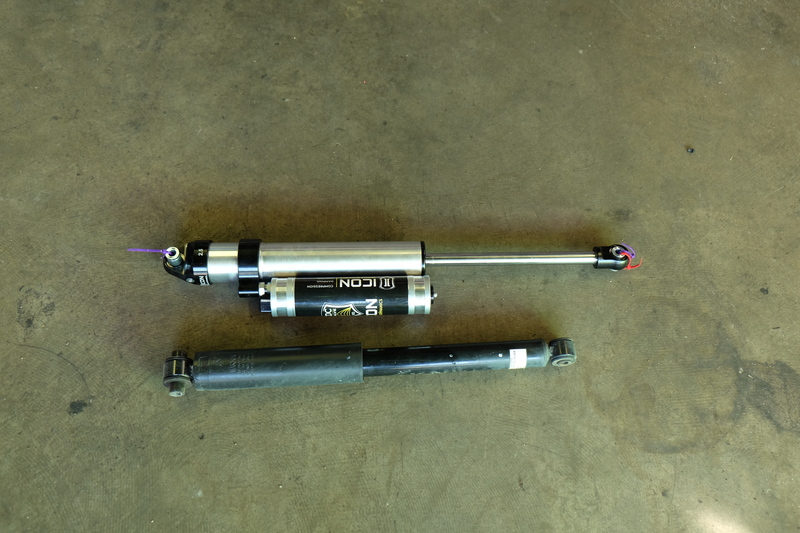 In November of last year, Icon brought to market a full line of eight different Jeep JL suspensions systems that had been engineered for the new platform. Their Stage 1 through Stage 8 kits each offer an increased level of performance that can be matched to your suspension needs and driving style. All of the Icon JL systems increase wheel travel by an impressive 30 percent with 3 inches in the front and 2 inches in the back. These 2.5-inch reservoir shocks hold off fade with ample cooling. Progressive springs adapt to changing loads. The systems are all based on a 2.5-inch lift and include the following progressive upgrades. The complete Stage 8 system. 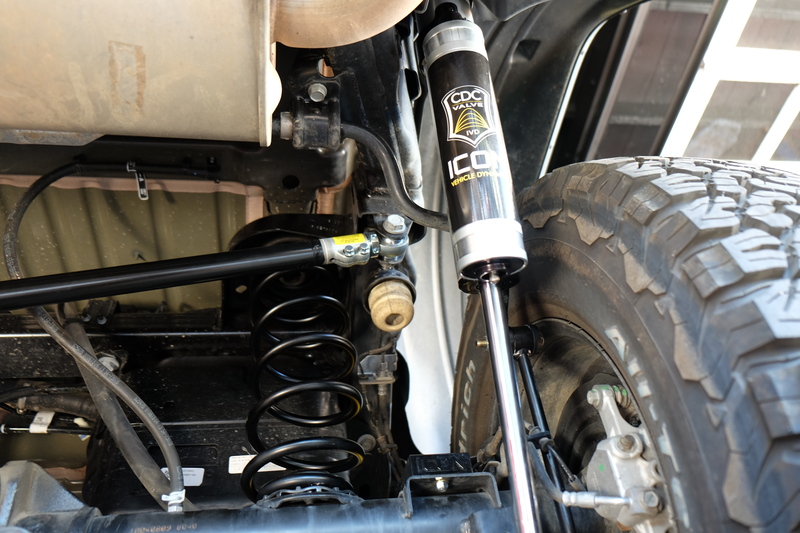 On our project 2018 Jeep JL, we installed the Icon Stage 8 system with the CDC on the 2.5-inch reservoir shocks. This option on the system is one of the functions I have come to appreciate the most. 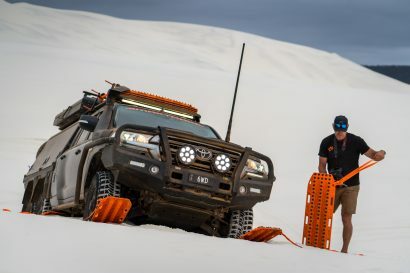 It’s one thing to want more wheel travel and a bit more flex for having fun on the trails, but for overland use, we find that in addition to general trail travel, we are supporting various and changing loads for long distances. As loads, terrain, speeds, and driving styles change, we are able to custom tune the JL for each scenario. The CDC shocks paired with the dual rate coils allow us to set the suspension for the JL being unloaded or even loaded to full gross vehicle weight. The CDC knobs on each shock allow for quick and easy changes to the damping rate. They can be adjusted from 1 through 9 with 4 being comparable to the stock OEM feel. You can choose a base setting and leave it for a while, and if you find yourself not liking how your JL is performing, at any time, you can make the change with a quick walk around the Jeep. The Icon systems don’t require any cutting or welding and could be installed in your driveway with a good floor jack and a few jack stands. We’ve rolled around on the driveway enough to understand the true value of a vehicle lift and a comprehensive set of tools. So, we headed over to Summit Jeep Company in our hometown of Prescott, Arizona to save our backs, letting the professionals do the work. The Icon shocks are noticeably more robust and offer 3 inches of additional wheel travel in the front. Caption: A side-by-side size comparison of OEM stock versus Icon. In the rear, the attached piggyback reservoirs eliminate the need for remote mounting solutions. An additional 2 inches of wheel travel is gained in the back. 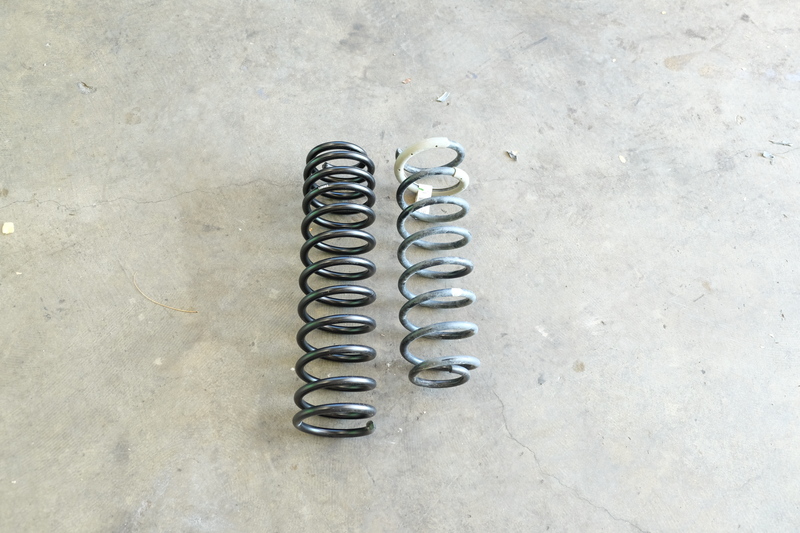 The Icon dual rate springs boost the JL 2.5 inches higher, although it looks and feels like more. Everything on the Icon install is straightforward. We started up front and moved to the back. After releasing an axle from as much tension as possible, it was simple to swap out upper and lower arms, the springs, and then the shocks. As you can see in the pictures, the physical size difference between the OEM and Icon is impressive. The kit increases ride height, adjustability, payload, wheel travel, and without a doubt, strength. Built-in adjustability facilitates installation and field maintenance. Icon provides detailed step-by-step instruction and all of the adjustable components come pre-set and to nearly perfect settings. The alignment shop only made minor adjustments. The only area of installation that we found a snag (Icon has remedied this issue) was with mounting the front shock remote reservoirs. On the original early release systems, the remote reservoirs were 7 inches tall, like the ones we installed. Their forward mounting location on the frame rails works with stock JL bumpers, but with aftermarket bumpers, they may require notching out the bumper so that the reservoirs can fit. We couldn’t bear the idea of taking a plasma cutter to our new Warn Elite front bumper, so we found an alternate location further back on the frame rail. Icon has since shortened the reservoirs by 1.5 inches. The new 5.5-inch reservoirs ship with the current Stage 5, 6, 7, and 8 systems, and they fit under the stock bumpers and aftermarket bumpers with no need to cut. It’s nice to see a manufacturer continuously striving to better their products. The alternative reservoir location we’re trying is not perfect, but it’s great to know that Icon has eliminated the issue with the shorter reservoir that ships with current systems. The resulting stance of the Icon-equipped JL pairs well with our set of 34” BFG ATs on Icon Alloys, and the additional height puts the driver in a more commanding position at the wheel. The ride on pavement feels significantly better than stock, smoother and more fluid, especially in corners. On the dirt, the performance is night and day—a completely different vehicle. Corrugations almost feel like pavement, and bumps that used to be something to brace for are absorbed easily. 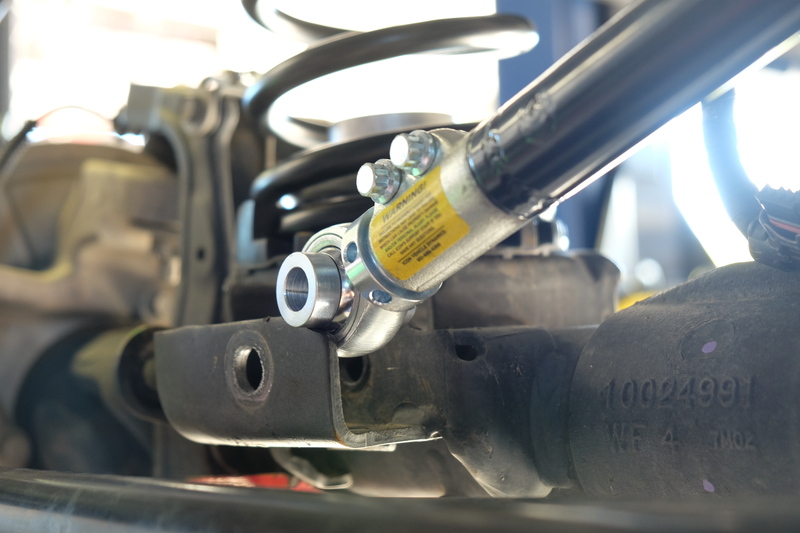 In technical terrain, we found that disconnecting the front sway bar really lets this system come alive. Areas, where the stock suspension would have lifted wheels, are now traversed with consistent tire contact, more traction, and better stability. To test and stretch things out a bit, we found an area of cinders where side-by-sides, dirtbikes, and ATVs had formed the trail into a long series of moguls shorter than the JL’s wheelbase. We watched other trucks having to slow down as their front ends would begin to bounce off the ground, but the JL with the Icon Stage 8 absorbed everything with a nice level body and minimal porpoising. A huge improvement over stock. With the OEM suspension, the JL was easily high-centered on this obstacle that the Icon system now lets it clear with lots of room. After 7,000 miles, we’re enjoying the improvements over the stock suspension and can travel further afield and for longer distances with confidence and comfort.